Hardly a day goes by without a new story in the media about rambunctious, rowdy, students at college, itching to explore the world of intoxicants thoroughly for the first time. Stanford is no different from other schools in this regard; indeed, Stanford students have a rich history of lobbying hard for the freedom to drink on campus. Recently, however, a number of high-profile incidents have increased scrutiny on Stanford, and colleges across America, on the harmful consequences of college drinking, including sexual assault, bodily injury, and vehicle-related accidents. Despite the National Minimum Drinking Age Act ensuring that a significant number of college students are underage at some point during their time at universities, the overwhelming majority of college students drink alcohol. American colleges might therefore find it difficult to perpetuate old-world traditions that have been traditional havens of campus social life, like the famous university-sponsored college bars of Oxford and Cambridge. Instead, they must scratch their collective chins contemplating the question of college drinking. Specifically, colleges have had to grapple with the question of whether or not to police their students for engaging in underage drinking, and how to simultaneously ensure that they do so in a safe and responsible manner. A history of alcohol policies in the U.S.
After prohibition was repealed in 1933, the 21st Amendment effectively gave states the right to set their own alcohol laws, with most states setting a minimum drinking age of 21. But pressure from student activists in the 1960s to reduce the minimum voting age to 18 saw various states subsequently reduce their drinking ages to 18, 19 and 20 years. After all, so the reasoning went, if citizens were considered old enough to be drafted and vote, they should be considered old enough to drink. All that changed in 1984 with the passage of the National Minimum Drinking Age Act, which withheld 10 percent of federal highway construction funds from states that did not set a minimum drinking age of 21. Since then, all 50 states and the District of Columbia have enacted minimum drinking ages of 21. Cultural attitudes and lifestyles have, of course, evolved since those turbulent years. In 2011, 21 million, or 42 percent, of 18-24 year-olds in America were enrolled in college, up from 10.6 million in 1984. With this increase in enrollment, colleges face greater non-academic challenges too. One of the most important is balancing students’ desire for experimentation and their transition to adulthood with their need to abide by laws and create safe communities. Alcohol and drug use by underage students is therefore one of the biggest challenges colleges must face. How colleges approach this challenge varies widely from campus to campus and is subject to numerous local factors, such as laws regulating alcohol consumption on private property, the amount of public funding received and cultural attitudes embodied in the school’s philosophy. Regardless of the philosophical and legal basis behind implementing a particular alcohol policy, policies across many otherwise distinct universities tend to share similar themes. They explicitly prohibit underage possession and consumption of alcohol and often have administrators and resident assistants police underage students. Public universities like UC Berkeley and UW-Madison may be compelled to adhere more strictly to state laws than their private counterparts since they receive funding directly from states. Similarly restrictive policies at universities like Dartmouth College may have been enacted in response to a harmful, disruptive, even legendarily infamous drinking culture. Other universities, like Notre Dame, enact such policies perhaps due to codes of conduct being heavily reliant on their religious affiliation. The same approach of actively restraining alcohol use is therefore widely held in colleges across America. The effectiveness of such a heavy-handed approach, however, is not without question. Harvard University’s College Alcohol Study has found that colleges that ban alcohol have 21 percent fewer students who are heavy drinkers than those that do not. But, data from the National Institute of Health shows that nationally, about 80 percent of college students drink alcohol and about half of those binge drink. Furthermore, the same Harvard study shows that students who do drink at colleges that ban alcohol experience the same rate of alcohol-related problems as their peers from other colleges. If the aim of restrictive alcohol policies is to encourage abstinence among underage students while creating a safe campus community, then they do not seem to be fulfilling that aim. Perhaps colleges may not be able to prevent all, or even the majority of students from drinking. Other colleges have instead geared their policies toward mitigating the consequences of excessive drinking and encouraging responsible behaviour. At Stanford, this perspective has been a part of the University’s alcohol policy for many years. Colloquially referred to as the “open-door policy,” its aim is to reinforce the expectation of students to make healthy, responsible choices. Incoming freshmen are meant to complete the first stage of a comprehensive alcohol education program before their first Friday on campus, with the remaining two stages being completed on campus during freshman year. The program, Think About It, has a section known as “partying smart” that discusses alcohol consumption in depth. 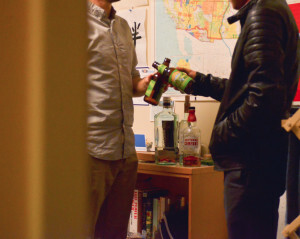 Furthermore, unlike the aforementioned universities, most Stanford officials – barring the Department of Public Safety – are not expected to enforce the state drinking law, allowing students to possess and consume alcohol in residences. RAs and members of residential communities, however, are encouraged to step in to prevent risky behavior that may be associated with alcohol use. Additionally, OAPE runs the Cardinal Nights program, which sponsors alcohol-free events for students. 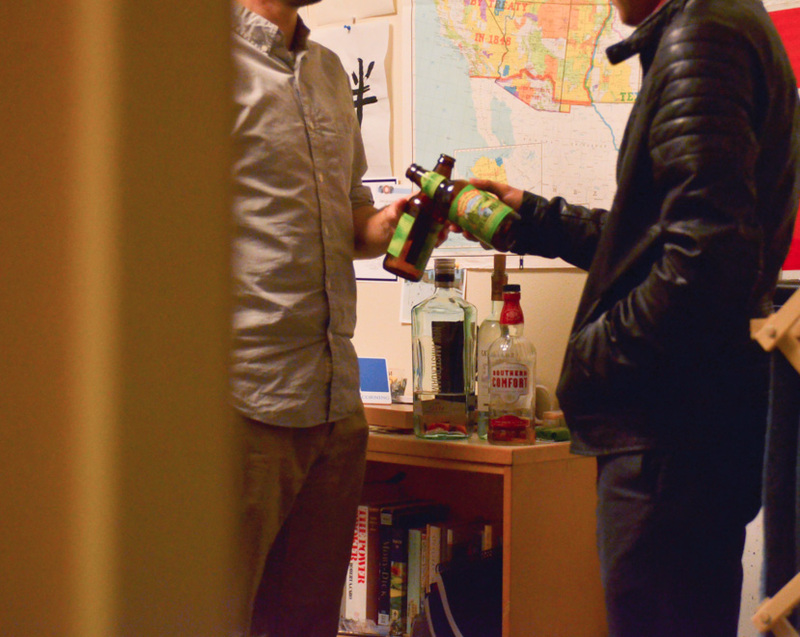 Its mission is to challenge the notion that alcohol is necessary to have fun on a college campus; past events have included trips to a Giants game and performances by comedians like Chris Hardwick. Other universities across the country have also started implementing similar policies. Tufts University has implemented what it calls a “good samaritan policy,” which absolves students seeking medical assistance for excessive alcohol use from disciplinary action. Washington University in St. Louis (WUSTL) has implemented a policy like Stanford’s, which aims to encourage responsible drinking and discourage bingeing, according to Sankalp Kapur, a WUSTL freshman and member of the WUSTL Constitutional Council. According to Castro, the number of students that engage in binge drinking at Stanford has remained stable over the past few years, with a decrease over the last year among undergraduates. Additionally, Castro said that only 40 percent of frosh think that alcohol is a significant part of college life at Stanford, indicating that educating students about the law, providing equally enjoyable social programming and encouraging responsible behaviour could be a better alternative to heavy-handed, prohibitive policies. Ultimately, says Tiu, alcohol ought not to be a wall preventing members of a community from engaging with each other. Emphasizing students’ freedom to choose whether or not to drink may therefore be a deciding factor in creating an enjoyable and safe campus community.